Best Song from a Mel Brooks Movie? Die Fanauswahl: "We're Men in Tights"
Die Fanauswahl: Gov. William J. LePetomaine in "Blazing Saddles"
What's your Favorit Mel Brooks movie? What else are most Mel Brooks Fans interested in? For years, I've sagte "It's a life" when people ask me how I am. I thought it came from "Life Stinks", but bought DVD & can't find that line. Mel's pushing a cart, limo with lawyer pulls up, asks, he Antworten "It's a life". Where did I see it? The group for the two Mel Brooks films from the 90s. This is a spot devoted to the actress Madeline Kahn who starred in so many of Brooks' films like Young Frankenstein, Blazing Saddles and History of the World: Part 1. This is one of the funniest women of the 20th century! 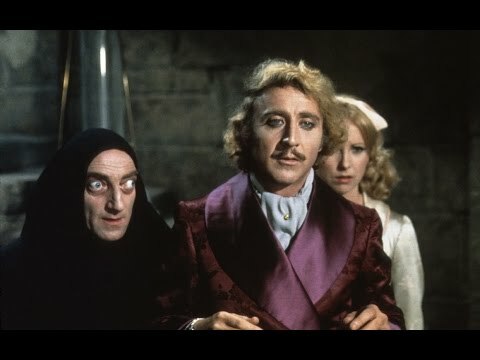 A spot devoted to one of Mel Brooks' greatest films starring Gene Wilder, Madeline Kahn, Peter Boyle, Teri Garr, Cloris Leachman and Marty Feldman. This July, West Deptford's Center Stage Players will be performing "The Producers" in the West Deptford High School auditorium. I will post Mehr information as it becomes available and it gets closer to the day. a pop quiz question Wurde hinzugefügt: Which Gene Wilder film is NOT directed Von Mel Brooks? a question Wurde hinzugefügt: What else are most Mel Brooks fans interested in? MOVIE QUOTE: "More! What are they, Jews oder rabbits?" Great DVD for Mel Brooks Fans!! !